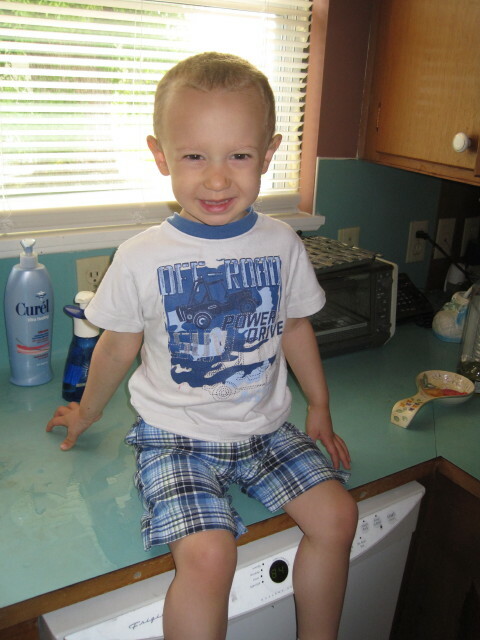 Last week, after breakfast, Joseph was sitting on the kitchen counter watching me wash dishes, just chatting away. Suddenly he stopped chatting and looked at me and said, “Mom, you’re really good at washing dishes. You’re a good girl.” Aww, thanks Joseph…I now have all the encouragement I need.